The hind of a horse in his mid 30’s, previously neglected and put on a 2-3 week trim schedule for the last 3 years. The healing art of a smooth transition from a distorted pathological foot to a sustainable bare foot and then on to a well developed barefoot lies in the knowledge of proper form and recognizing the difference between the old, dead, insensitive sole and the new, live, feeling sole. It’s a natural adaptive process for compromised hooves to retain a protective layer of dead sole to cover a thin layer of sensitive live sole. It’s common for vets, farriers and trimmers to misread thick, dead, firmly retained sole for thick calloused sole. Even radiographs and hoof testers fail to differentiate. 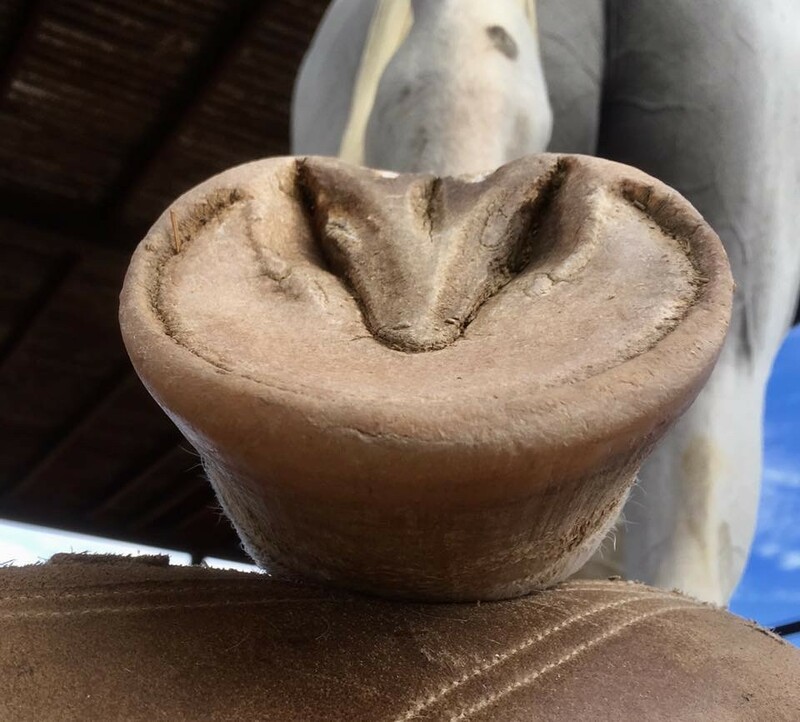 In order for the sole to become fully live and reach optimum thickness P3 must be perfectly centered in the hoof capsule with no structural deviation from the corium to the outer surface. This can only be achieved when the 4 pillars are perfectly aligned above the 3-4 ground contact points without deviation and the weight bearing is not directly on the outer wall or the solar edge of P3. That doesn’t leave much room for margin of error. This must be maintained which is not easy when the structures of the foot grow at the rate of about 1/16” every 4-5 days. This is an evolutionary design that has allowed the horse a constant regenerative feed of new protective tissue to replace the old degenerative dead tissue as it wears away through miles of daily use. In nature this is the perfect process for a perfect biological system. Horses are designed for continual movement and foraging. They are Mother Nature’s plains keepers…constantly plowing, fertilizing, reseeding, and pruning. This perfectly designed balanced system has been disrupted by domestication. Man’s role as care taker has caused distortion. When claims are made by horse owners that their horse can’t go without shoes because their feet don’t grow fast enough to keep up with the wear, it more than likely just means their horse’s feet are out of balance and retaining more dead tissue instead of developing live tissue…the dead tissue wears away quickly. This can be remedied with frequent proper trimming. This may seem counter intuitive for horses that have slow growing feet that wear too easily, but it can be done by lightly trimming to define the edges of the solar structures in order to provide both space for live tissue expansion and sensory relief. Simply removing the dead without invading the live will improve comfort and restore proper weight bearing. The key is trimming less more often and the proof is a horse that moves better after each trim. The effectiveness of this approach relies on awareness, time, knowledge, experience, integrity and empathy. A trusting relationship between the trimmer, the horse, and the owner must be established to achieve the optimal level of success. A foundered horse rehabbed on a 1-3 week trim schedule over 3 years. It doesn’t matter if horses are in a back yard or in a fancy barn, or if they’re bare or steel shod, if their feet aren’t trimmed to simulate the natural wear that compensates for their natural growth rate, there will be distortion. Distortion leads to pathology. It’s a spectrum. The flip side of trying to take care of a 1000 lb animal with feet that are constantly growing is that the fast growth rate can be used to make small frequent adjustments at each trim to change the weight bearing and subsequent growth patterns. Yes you can use the horse’s weight for them instead of against them. This takes dedication and experience but it is possible for almost every horse at almost any stage of distortion. The trimmer just needs to know the difference between the dead tissue and the live, just how much to remove, and to be accountable for how the horse is doing post trim. 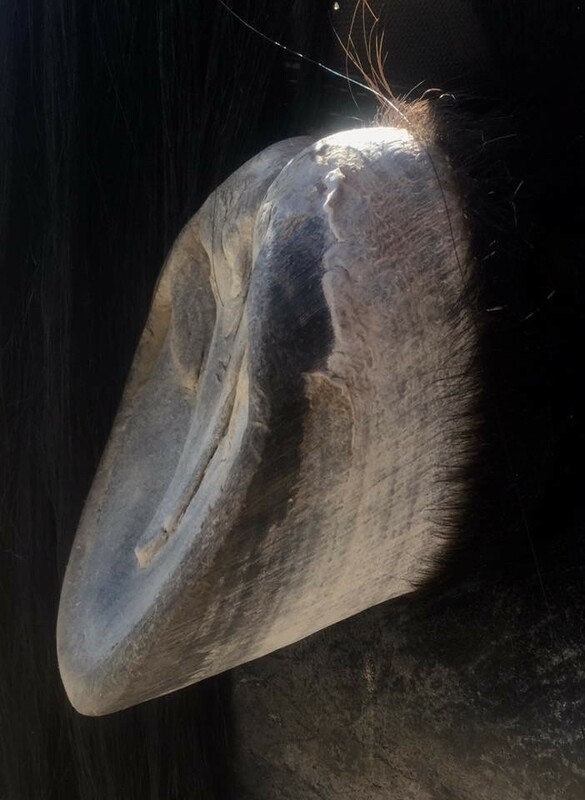 In my experience, once you get the hoof capsule aligned with P3 and the structures start getting thicker, the feet will fluctuate from perfect looking balance to slightly out of balance. This is normal and that’s why a frequent schedule is critical to maintain corrections. Perfect balance is short lived because everything has an effect on it. As long as you catch it early, it’s easy to restore. Everything on the bottom of the foot takes several months to get there and any adjustments are affecting the new growth even though you may not notice it for several more months. Keeping a record by photo documenting a timeline of progress can help with communication between owners and practitioners. 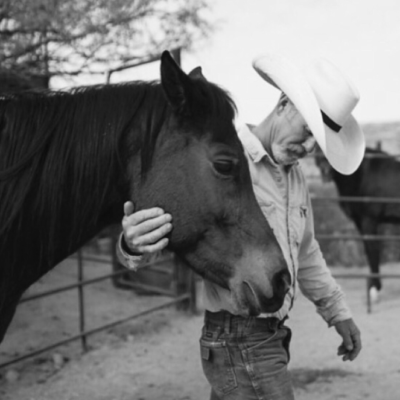 Constant relapsing is common for horses that have been neglected for a long time. It’s like the foot has a memory of the old bad hoof. Of course, the muscles do have a memory of the old habits of compensation. That’s why I keep them on such a tight schedule. As with any bad habit that leads to poor health, it takes a lot of hard work and dedication to make changes for the better and it’s always easier to fall back in the old rut. Resurrecting horse’s feet is no different and it takes a lot of accountability to see and maintain lasting results, but with enough focus and persistence making good choices can get easier over time. This typically coincides with less relapsing over time. Trimming horses is no picnic and it is often under valued, and even considered unnecessary, until the horse comes up lame. Executing an impeccable trim on every foot takes a lot of personal integrity. It’s often tempting to slack off…especially for an ill mannered horse. Trimming the bottom of the foot puts the trimmer at a physical disadvantage and no one likes to handle horses with severe behavior issues anyway. It’s not likely the work will be inspected so it’s tempting for the trimmer to give up on trimming from the bottom and just put the foot on a stand and trim from the top to get it over with.